PRIVATE ONLINE ACTING LESSON to help you prepare! Special One-time offer for a private online lesson, only £35! Need more help to prepare for your audition? Train with one of our expert acting coaches online, save £10. Lesson lasts 60 minutes. This offer is not available at any other time. Future lessons are full price (£45). Expires 6 months from today. "I am enjoying this diploma course very very much. I actually started flying back and forth from Barcelona to take this course. I'm getting real tools to become a real actor! The coaches really help you out. You get to try out very different things and I really feel like they care about you. They are there for you. It is honestly a very good environment to just improve as an actress. This course is amazing because it gives you the flexibility to take a professional training but you still have time to live in another country or do a job, or whatever you need to. It doesn't matter where you are, in Barcelona, Spain, France; come here to this amazing city with lots of very good theatre communities and learn acting with Acting Out because it's an amazing experience, really." 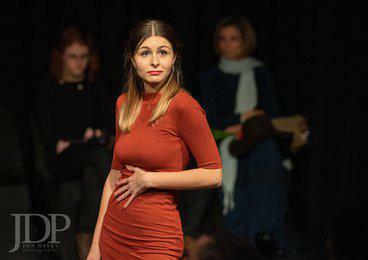 "I'm very much enjoying my Acting Diploma Course training. I'm loving meeting some excellent people and learning lots of good and different techniques from our coaches. I feel the coaches care about my training and future successes. They seem to give everything they can to you. They are always on hand to help you out. I feel like I've got someone to go if I need advice. I would recommend the course because it tells you right from the outset what its all about. It's not expensive and you can built it up with different courses from Acting Out that will improve your training even more. So you can spend as little or as much as you want to gain the training you want to receive. With the Acting Diploma, you're not paying an overly expensive amount of money for something that is giving you a very good base." You have agreed to attend classes with Acting Out Drama School. Acting Out Drama School will not refund any monies paid, under any circumstances. All bookings made are non-transferable. You also understand that there is a late fee charge of £10 per week for any late or missed payments, and that failing to pay or failing to attend three or more classes in a row can result in automatic withdrawal from the class without refund. If you are paying in instalments, payments must be made on the dates agreed, even if you / the student has left the course for any reason. Acting Out Drama School and its staff cannot be held responsible for students outside the starting and finishing hours of the class. Acting Out Drama School expects students to take care of their own personal belongings and does not accept liability for belongings that may become lost or damaged. 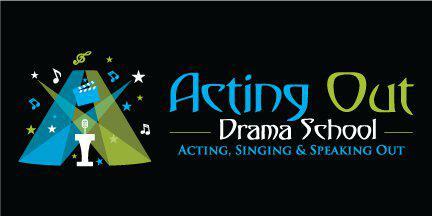 You agree to inform the staff via email to hello@actingoutdramaschool.com of any changes to the information you have provided, such as medical or contact details, as soon as is reasonably practical. Should Acting Out Drama School fail to get back to you within 7 days to confirm receipt of your email, you agree to provide the updated information in writing to the class teacher. You also accept that Acting Out Drama School has the right to refuse or exclude students from lessons at its discretion at any time without reason and refund. Acting Out Drama School will not pay any refund, compensation, reimburse expenses, or cover losses for any amount, as a result of circumstances beyond our control (for example, but not limited to, cancelling a class due to dangerous weather conditions). In particular, please note that we have a strict no mobile, no photography and no filming policy in class and during performances. Failure to comply with this policy and any other rules stated verbally or in writing can result in automatic withdrawal of the student from the class without refund.